The construction industry is undergoing metamorphosis. The new improvements like digitization, BMI and Reality Capture are improving the infrastructure and reducing risks often taken in the market. It is often seen that large companies take more time to complete projects and this happens because of lack of budget. Digitization is necessary for such a situation because this will aid in construction productivity. Hence, returns will be more and players will be able to predict solutions. Before knowing how the industry will change with modern mechanisms, we state some facts about the construction industry. Since 1945, the improvement in the industry is meager. The revenues earned in auto and aerospace is more than this industry. Infrastructure cannot remain constant. It needs to improve and certain technological advancements will improve every industry tenfold. 3D design, digital engineering are revolutionizing infrastructure. In that respect, digitization will reduce market risks and upgrade the asset lifecycle. Plus, digitization will generate incentives for industries and workers. 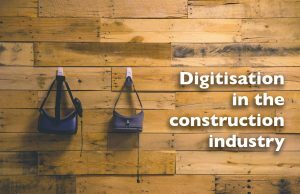 In the construction industry, we need digitization to plan the outline of the building. We need tool or machinery for physical construction but without precision, the inner foundation of the structure will not stand. Most of the work is done manually till now, but times are changing. Sooner drones and robots will take over manual labor. And cloud systems will check and assess the workers’ improvement, performance etc. With digitization, the risk of health will reduce. BIM is a part of the construction industry. It is based upon collaborations using a set of computer models rather than a set of disjointed drawings. With latest 5D in fashion, BIM will create a perfect futuristic construction. Moreover, technologies will digitize the process by enhancing visualization, thereby making it look real. A popular example in this regard is Europe’s Crossrail project. It is a 118km under construction railway line connecting countries like Berkshire, Buckinghamshire, and Essex. It is an innovative digital project. This project is unique because it involves BIM or Building Information Model. As the project progresses, the models will take up changes making maintenance easier. Many scholars feel the term engineering is changing. Now, with technology, we can evaluate the structure of the city and its composition. We can also asses the condition of roads, houses using different models. Digital engineering provides an environment of collaboration for all the stakeholders and engineers. This process aims at identifying problems and giving probable solutions. Since it involves all the players, the solutions are verified. Digital engineering accumulates details about any project and captures knowledge relating to the project. A reality mesh combines the virtual and real world. This augmentation of the virtual and real world can enhance visualization. In reality mesh, all the objects both physical and digital interact to help experts to set a structure of the construction. It plans, designs and operates projects quickly. Reality modeling captures the former situation first. Then with the help of engineers create a new design for the future. In a nutshell, teams were no longer needed to report after a fieldwork. It uses drones, satellites to take snaps of the sites. On the basis of the information, engineers can maintain track records. Chris Gibson is of the opinion that the construction process is slowly turning into the manufacturing industry. In quick time any contractor or owner will know about changes made in the construction sites. Moreover, all the workers can actually collaborate on a single project. with a 5G improvement, they can visualize the progress. a common example to support this is Context Capture. Large organizations are using Artificial Intelligence and Virtual reality to achieve its goals. However, tech experts believe that the industry is in a transition phase. It will need some time before BIM and reality mesh is successful. But adoption of the methods is taking place because of the expenses. Equipment such as scanners are lightweight and come within budget. Likewise, software programs have increased their functions. Government and other organizations are providing equipment to aid work. Reality capture is becoming a reality in the construction industry. Equipment like sensors and wireless devices are becoming more intelligent. IoT can capture site images and can also check on the progress of the project. Surveillance cameras are keeping a record of the workers. A major problem is lack of collaboration. Many companies do not allow data to pass from one application to another. A lot of money and resources can be saved if companies collaborate with each other. Finding accessible and simple tools is another factor. The construction industry needs equipment which provides products to customers. Digital engineering and the digital mesh is not budget friendly. Though they are effective in every way, many countries are not adopting it because of money. The challenge is to make it cost-effective without deteriorating its quality. Technological heads need to collaborate to remodel the structure. Bridging the gap: How to solve the problem? The industry is changing so are the technologies. What we need right now is a combination of both augmented and virtual reality. We need Digital engineering, 3D processing to speed up the construction industry. How far will this move work is still a question.